Are you looking for A2Hosting Black Friday Sale 2018? Great!!! The wait is over. A2Hosting offers huge discount during Black Friday and Cyber Monday Sale on their web hosting products including Shared Hosting, VPS Hosting and Reseller Hosting. A2Hosting was founded back in 2001. They have best team members and data centers around the globe. They offer Shared Web Hosting and fully scalable product line featuring Reseller, VPS and Dedicated Server solutions. A2Hosting Black Friday and Cyber Monday Web Hosting Discount will be LIVE from 21st & 22nd November (Early Access) 23rd November (Black Friday) to 26th November (Cyber Monday) but, you can still get 51% discount on regular price. 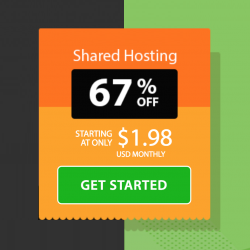 A2Hosting shared hosting plans available at 51% discount in normal days i.e. Lite ($3.92/mo), Swift ($4.90/mo) and Turbo ($9.31/mo). A2Hosting offers huge discounts on Web Hosting Plans on the occasion of Black Friday and Cyber Monday. You can get 67% discount on Lite plan and 50% discount on Swift and Turbo Plan. This is the highest discount offered by A2Hosting during Black Friday and Cyber Monday Sale. You can choose any of the above plans according to your need. If you are planning to host more than one website, then you should buy either Swift or Turbo hosting plan. BlueHost Review 2019 (Pros & Cons) → Is it Really Good for You?